This past year, Acadia National Park hosted a record-smashing 3.3 million visitors, or half a million more than in 2015. Our park’s visitation has steadily increased by more than 55% since 2006. Many people are asking me if we expect this trend to continue or if 2016 was an anomaly—a centennial bounce. While I don’t have a crystal ball, many iconic national parks are seeing similar increases in visitation. For all of our best efforts to celebrate Acadia’s 100th birthday, many of our visitors made their plans for other reasons. I am convinced that America’s national parks are a good bet and our visitation will continue to climb. The National Park Service’s founders 100 years ago knew that they needed committed citizens who valued the parks in order for the Park Service to succeed as a federal agency. Stephen Mather, Robert Sterling Yard, and Horace Albright initiated some major promotion campaigns that included working with corporate partners (remember “See the USA in your Chevrolet”?). Promoting parks is still important—although we likely have different objectives for those efforts. Today we need to make sure that kids, who spend more and more of their time indoors, are still connecting with nature. We also need to make sure that parks are relevant to traditionally under-served audiences. If you look around Acadia, Yellowstone, or the Grand Canyon, you’ll quickly see that our visitors and our workforce don’t reflect the diverse face of America. That needs to change. While the vast majority of our visitors have a fantastic experience, managing 3.3 million people continues to present challenges. Foremost in our minds is insuring that we never compromise the spectacular resources that people are coming to enjoy. We also need to make sure people have a great, safe visit that leaves them wanting to come back again. Acadia’s transportation plan will be crucial in the long term but there are several things we are trying in the short term to reduce congestion. This summer we hope to hire several parking lot ambassadors to help proactively manage congestion in parking lots and keep traffic moving. 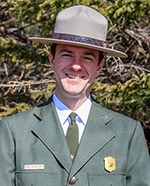 The Summit Stewards, funded by FOA, have already been crucial in communicating with park staff about congestion on Cadillac Mountain so that rangers can respond promptly. We will be working this summer with students from Worcester Polytechnic Institute on several projects aimed at addressing congestion-related issues. And, thanks to FOA, we are working with a research firm to better understand visitor patterns on Ocean Drive, which will provide critical data as we build the long-term transportation plan. Caring for facilities is also key to protecting fragile resources. For example, well maintained trails guide visitors’ footsteps away from delicate vegetation. Acadia’s trails are in better shape today than ever, thanks to the substantial investment FOA and the park have made in routine trail maintenance and restoration of degraded trails. But the work is ongoing—last summer FOA volunteers replaced 700 feet of bogwalk at Jordan Pond, which had been brand-new a dozen years ago in the early days of the Acadia Trails Forever program. For every dollar Congress invests in our national parks on a national level, $10 is returned to gateway communities through visitor spending. As you pay your taxes this spring, these figures serve as a reminder of how great an investment national parks represent. I enjoyed a couple of wonderful cross-country ski jaunts on the carriage roads in February (thanks to the ski trail grooming volunteers through FOA!). And I as I enjoyed a beautifully groomed ski track, I reflected on the fact that in just a few months Acadia will again welcome visitors from around the world. And I thought about how Friends of Acadia’s work touches Acadia National Park in so many different ways—from raising money for critically needed projects, to providing volunteers, to advocating for the park when necessary.